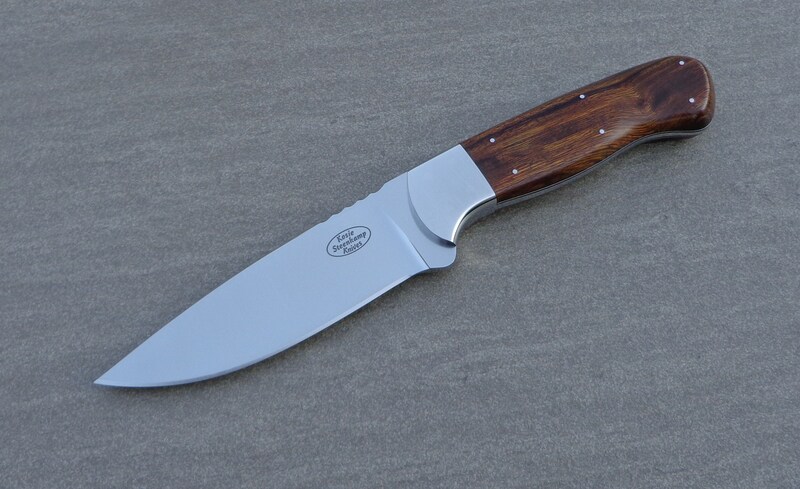 Profile: Inspired by and introduced to knife making by my brother, I began manufacturing knives in 2007. Shortly thereafter, in May 2009, I was accepted as a member of the Knifemakers’ Guild of Southern Africa (KGSA). With a well-established workshop, all knives are made to perfection using the best available materials. 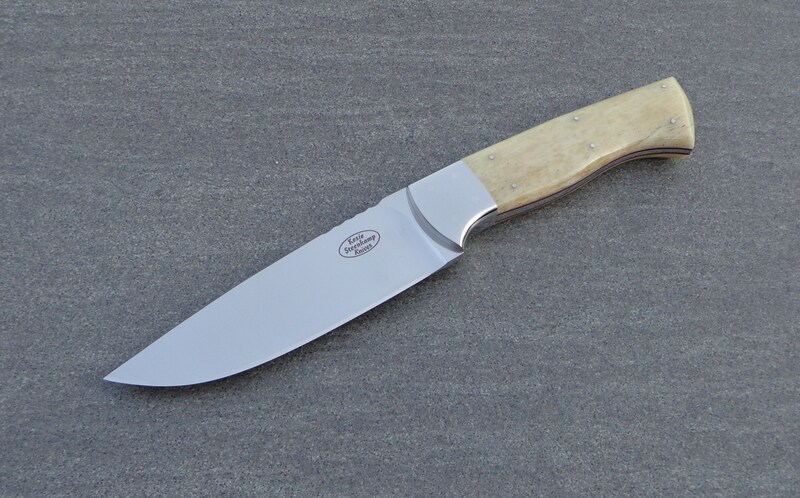 My aim and objective is to produce high quality knives for valued customers. I exhibit and sell my knives at the yearly International Blade Show in Atlanta, Georgia and Knifemakers’ Guild of Southern Africa Show in Johannesburg, South Africa. Blade: Böhler N690 Stainless Steel. 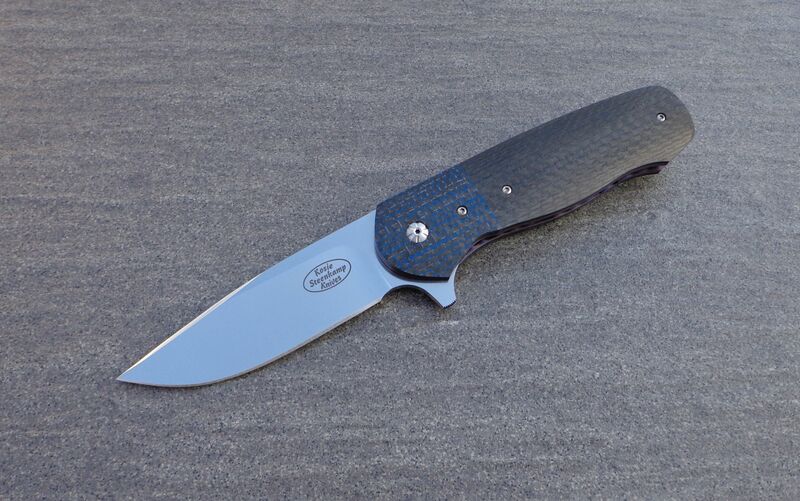 Handle: Blue Lightning Strike Carbon Fibre + black Carbon Fibre with blue anodized Titanium liners and belt clip. Handle: Red Lightning Strike Carbon Fibre + black Carbon Fibre with blue anodized Titanium liners and belt clip. 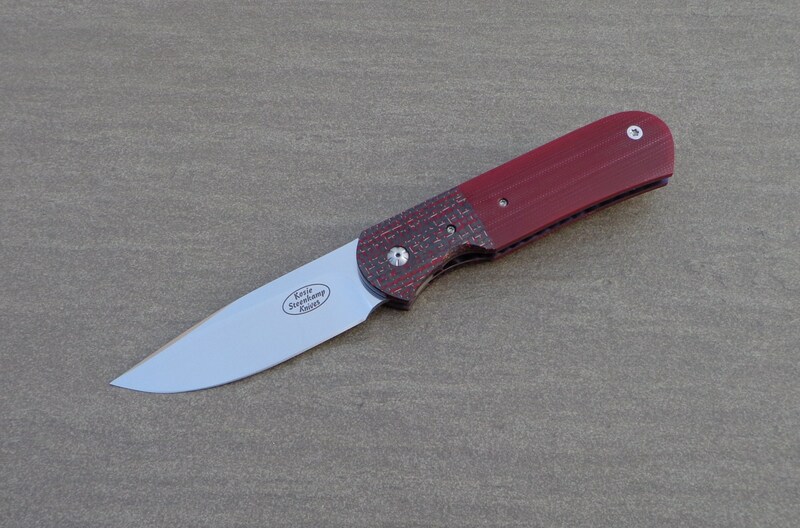 Handle: Red Lightning Strike Carbon Fibre + red G10 with blue anodized Titanium liners and belt clip. 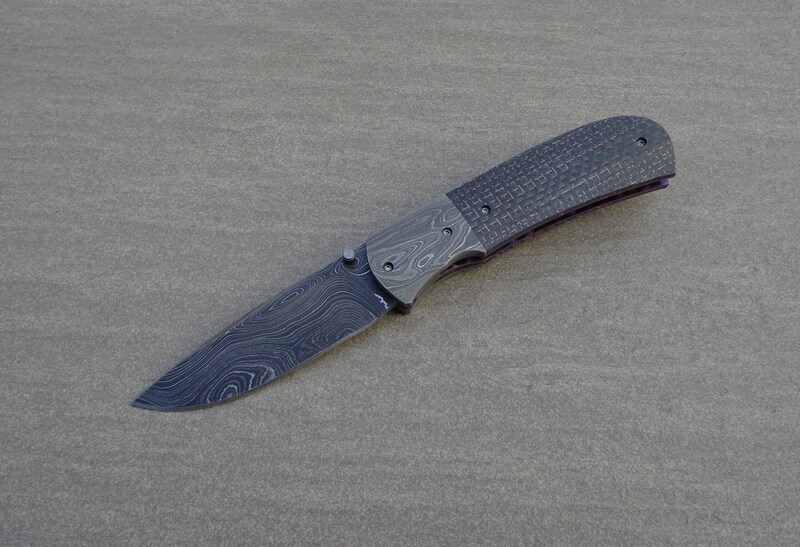 Handle: Alabama Damascus Steel bolster + Lightning Strike Carbon Fibre with blue anodized Titanium liners and belt clip. Handle slabs: Arizona Desert Ironwood.